„350 W55841001 J02AX06 ANIDULAFUNGINUM ECALTA 100 mg PULB. PT. CONC. PT. SOL. PERF. 100 mg PFIZER LIMITED MAREA BRITANIE CUTIE CU 1 FLAC. DIN STICLĂ A 30 ML X 100 MG PULB. S 1 1.449,080000 1.617,650000 0,000000"
348 W64915001 L01XX02 ASPARAGINAZUM ERWINASE PULB. PT. SOL. INJ. 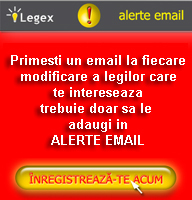 10000 unităţi/ flacon DIRECT PHARMA LOGISTICS - S.R.L. ROMÂNIA CUTIE CU 5 FLAC. DIN STICLĂ NEUTRĂ CU 10000 UI/FLACON PULB. PT. SOL. INJ. PR 5 3.013,260000 3.292,082000 0,000000"
501 W64503002 L01XE11 PAZOPANIB **1 Ω VOTRIENT 400 mg COMPR. FILM. 400 mg NOVARTIS EUROPHARM LTD. IRLANDA CUTIE CU FLACON DIN PEID X 60 COMPR. FILM. PR 60 171,197333 187,241166 0,000000"
8 W64379001 L04AX05 PIRFENIDONUM **1 ESBRIET 801 mg COMPR. FILM. 801 mg ROCHE REGISTRATION GMBH GERMANIA AMBALAJ CU 84 COMPR. FILM. PR 84 106,929285 117,007261 0,000000"
„188 W62602001 L01BA01 METHOTREXATUM METHOTREXATE 2,5 mg COMPR. FILM. 2,5 mg C.N. UNIFARM - S.A. ROMÂNIA CUTIE CU 10 BLIST. X 10 COMPR. FILM. PR 100 0,310000 0,362100 0,000000"
„324 W65219001 L01AA03 MELPHALANUM MELPHALAN RATIOPHARM PULB + SOLV. PT. SOL. INJ./PERF. 50 mg C.N. 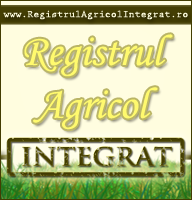 UNIFARM - S.A. ROMÂNIA CUTIE CU 1 FL. X 50 MG PULB. + 1F SOLVENT PR 1 106,820000 130,410000 0,000000"
122 W63593009 B01AB05 ENOXAPARINUM CLEXANE 8000 UI (80 mg)/0,8 ml SOL. INJ. ÎN SERINGĂ PREUMPLUTĂ 8000 UI (80 mg)/0,8 ml SANOFI ROMÂNIA - S.R.L. ROMÂNIA CUTIE CU 6 SERINGI PREUMPLUTE (STICLĂ TIP I) ASAMBLATE CU DOP DIN CAUCIUC (CLOROBUTILIC SAU BROMOBUTILIC) ŞI AC DE INJECŢIE PR/PRF 6 16,310000 20,621666 0,000000"
218 W63593009 B01AB05 ENOXAPARINUM CLEXANE 8000 UI (80 mg)/0,8 ml SOL. INJ. ÎN SERINGĂ PREUMPLUTĂ 8000 UI (80 mg)/0,8 ml SANOFI ROMÂNIA - S.R.L. ROMÂNIA CUTIE CU 6 SERINGI PREUMPLUTE (STICLĂ TIP I) ASAMBLATE CU DOP DIN CAUCIUC (CLOROBUTILIC SAU BROMOBUTILIC) ŞI AC DE INJECŢIE PR/PRF 6 16,310000 20,621666 0,000000"
151 W63593009 B01AB05 ENOXAPARINUM CLEXANE 8000 UI (80 mg)/0,8 ml SOL. INJ. ÎN SERINGĂ PREUMPLUTĂ 8000 UI (80 mg)/0,8 ml SANOFI ROMÂNIA - S.R.L. ROMÂNIA CUTIE CU 6 SERINGI PREUMPLUTE (STICLĂ TIP I) ASAMBLATE CU DOP DIN CAUCIUC (CLOROBUTILIC SAU BROMOBUTILIC) ŞI AC DE INJECŢIE PR/PRF 6 16,310000 20,621666 0,000000"
102 W63593009 B01AB05 ENOXAPARINUM ** CLEXANE 8000 UI (80 mg)/0,8 ml SOL. INJ. ÎN SERINGĂ PREUMPLUTĂ 8000UI (80 mg)/0,8 ml SANOFI ROMÂNIA - S.R.L. 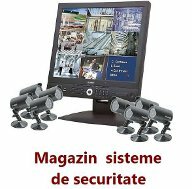 ROMÂNIA CUTIE CU 6 SERINGI PREUMPLUTE (STICLĂ TIP I) ASAMBLATE CU DOP DIN CAUCIUC (CLOROBUTILIC SAU BROMOBUTILIC) ŞI AC DE INJECŢIE PR/PRF 6 16,310000 20,621666 0,000000"